It takes a lot to shock us here at ISDP but shocked we are. 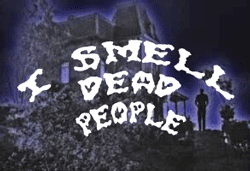 For an unprecedented second straight month there are no new “foul odor”-based discoveries of the recently departed. This makes us angry at Al Gore and the UN’s Intergovernmental Panel on Climate Change. By now, increasing global temperatures should have caused an abundance of ISDP incidents. Instead, North Americans are shivering through one of the coldest winters in decades. No doubt some residents of the Buckeye State will claim that the 54-year old man discovered in a Dayton housing project earns them a pin on the I Smell Dead People Interactive Map. Indeed, the case involves a “maintenance supervisor [who] opened the apartment and was met with a foul odor.” But the super entered the apartment because the resident was two months behind in his rent and hadn’t been seen for nearly as long. Dayton Sgt. Dan Mauch of the homicide unit said the odor outside the apartment had not reached the level where neighbors might have noticed. “Another two or three more days though and they’d be going into the apartment,” Mauch said. Given that the “decomposed and desiccated corpse” had been there six to eight weeks, according to other officers, we’d say the neighbor-noticeable level was reached about five to seven weeks ago. Police officers were met with a gruesome and bizarre sight when they discovered a parrot pecking at the head of dead man Brian Wright at a house in Birmingham. Neighbours of the late Mr Wright raised the alarm when they became aware of a bad smell coming from his house. there was no foul smell during the decomposition period because cultural methods used before were applied on the body to prevent it from rotting. “What they did was burn a special tree leave under the body,” he said.